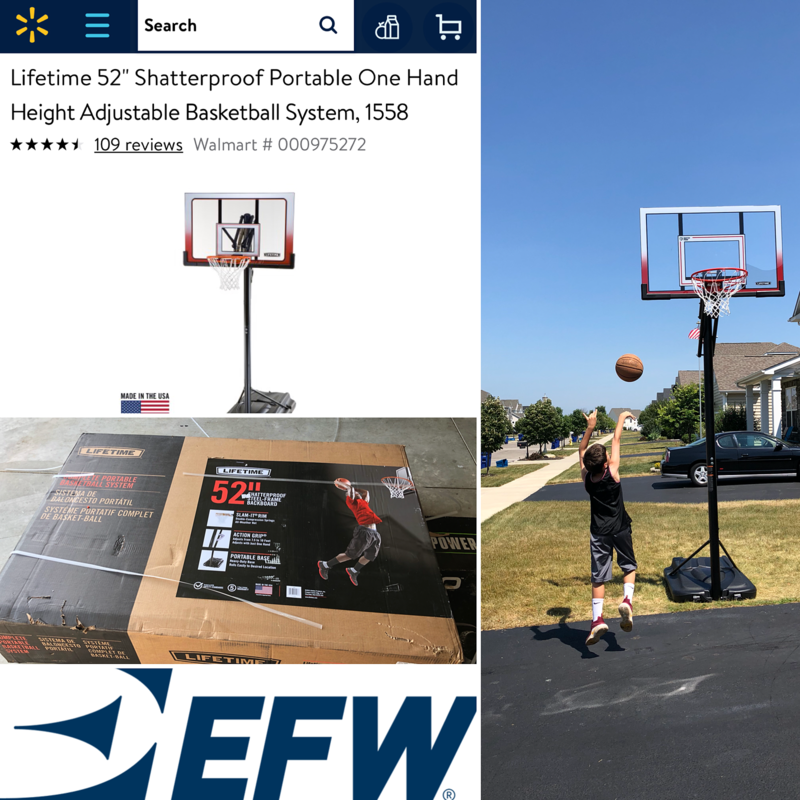 I completed my purchase on Walmart's website on June 30th (the hoop was half off! ), and I received a promised delivery date of July 13th. This was ok, as my son's birthday is July 19th. By July 2nd I received an email from Estes EFW notifying me that "We are the special delivery carrier, EFW, who will be performing the delivery of your Walmart.com order. Once we have processed your order and it has departed the origin facility, we will contact you by phone and email to schedule your delivery date and time." They also let me know I'd need a dry spot outside for delivery and there would be a 4-hour window in which the item would arrive. I didn't really process that there would be a phone call regarding the order. But, a few days later, I received a lovely call from a friendly woman at EFW. She talked to me about scheduling a day and time that worked for me. We talked about putting the box in my garage instead of on my driveway, which she informed me would require a lift gate, but that was no problem. I was incredibly impressed with their service. Another few days later, I received another call. They could deliver my hoop even earlier than expected! Unfortunately, the date didn't work for me, but they said that it was fine to stick with my original date and that they would call me the day before to confirm the 4-hour window. I wasn't home the day that the basketball hoop was set to arrive, but my mother answered the door. The surprise was that the delivery men had a baby mattress for me instead of a hoop! Never fear, they took the mattress back and promptly brought back our package within an hour. They used the lift gate to deliver the package in my garage with easy access for (less than quick) assembly. Within a day, my husband and father had assembled the hoop, and I had a happy (almost 11-year-old) boy making shots in our driveway. Often an Amazon Prime buyer, I rarely purchase from Walmart online. However, this experience with Walmart and EFW impressed me enough to share the story with friends, colleagues, and now you. This goes to show that not everything is left in your mailbox or on your doorstep. 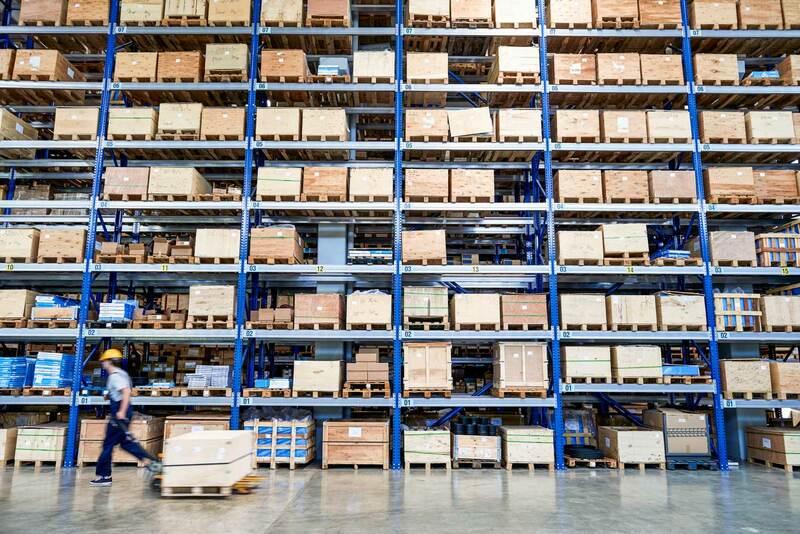 When you are expecting a big package, you may be visited by several types of carriers: freight forwarders, LTL (less than truckload freight), couriers, and more. Happy shopping (and for our customers, happy shipping!) And certainly a happy birthday to my son, Adrian.